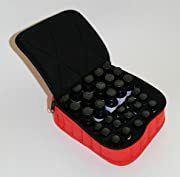 Once you start using essential oils you begin to add more and more to your collection and the 30-Bottle Essential Oil Carrying Cases hold 5ml, 10ml and 15ml bottles by TheraPure Health Essentials provides the perfect way to store them. 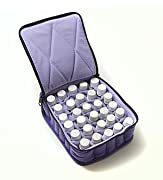 This case holds 30 bottles of essential oils and can handle any of the three most common sizes. Each bottle will be stored in a compartment created from cloth dividers. This protects the fragile glass bottles from breakage. The outside of the bag is quilted with padded cloth so that the bottles are protected on all sides. 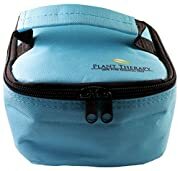 The top zips closed and there is a handle on top of the case so that your oils will stay upright when you travel with them or even when you store them in a closet. This case comes in a variety of colors including black, purple, coral, blue, teal, and yellow so you can choose a case that fits your preferences. You can also choose different colors for different types of oils to help you stay organized and find what you need quickly. If you work as an aromatherapist, doula, or massage therapist, you’ll love being able to take your oils with you and know that they’ll be stored safely. 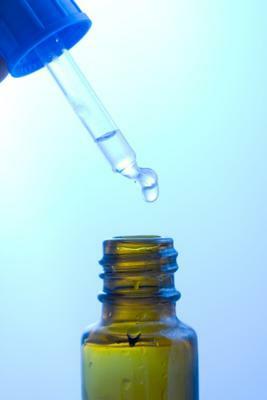 For home use, you’ll enjoy having an organized way to keep your oils safe when you’re not using them. 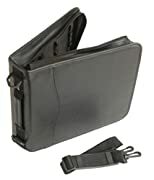 This case also makes it easy to take your oils with you when you travel. It doesn’t take long to build up a large collection of essential oils and it can be difficult to keep them organized if you don’t have a good carrying case. 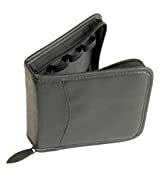 But with this case you can keep them stored without exposure to light and you can keep them organized. 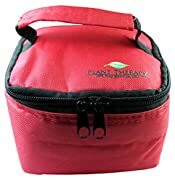 The case also has a pocket on the front that is the perfect place to store your pocket guide to essential oils or any other small supplies that you use with your oils. There is rigid cardboard on the bottom of the case that keeps oils from slipping out below the dividers. 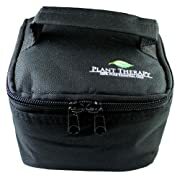 All in all this is a great carrying case for keeping your oils safe and sound. If you use essential oils regularly you’ll be glad to have a system for organizing them and traveling with them if needed. 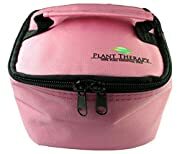 The 30-Bottle Essential Oil Carrying Cases hold 5ml, 10ml and 15ml bottles is versatile and can hold any size bottle of essential oils you prefer. - See more at: Aromatherapy Benefits directory page with heaps of fascinating and useful tips for using aromatherapy and oils for your herbal therapy!